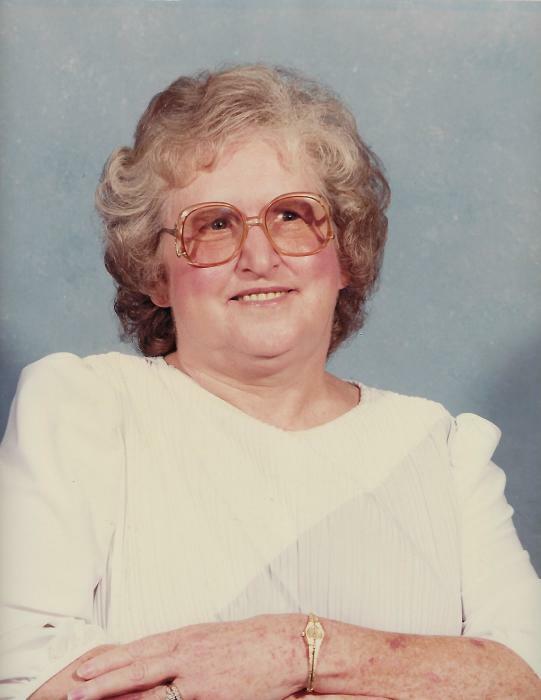 Opal Laverne Mayes, 81 of Huntsville, passed away Monday, September 24, 2018 at her home. She was born February 3, 1937 in St. Paul, Arkansas to Stan Riley and Garney Shipp-Riley. She was preceded in death by her parents, husband of 33 years, Curtis Tyson; husband of 13 years, William Willis; son, Bobby Willis, and two brothers, Paul and Doyle Riley. Survivors include her husband of 13 years, Lloyd Mayes; son, Charles Willis and wife Sandra of Kingston; 5 step-children, Vickie Wiley of Kansas, MO; Mark Mayes of St. Paul, AR; Felicia Graham of Huntsville, AR; J.R Mayes of St. Paul, AR; Kimberly Marshall of Forum, AR; 3 brothers, Guy Riley, Glen Riley and Ray Riley and wife Jean, all of Huntsville, AR; 2 sisters, Joyce Davis and husband Mike, and Wanda Reynolds and husband Ed, all of Huntsville, AR; 14 grandchildren, 17 great grandchildren, and several other family members and friends. The family will receive friends from 6-8PM Thursday, September 27, 2018 at the House of Prayer Church in Huntsville. A funeral service will be held 2PM, Friday, September 28, 2018 at the church with Pastor Mickey Evans and Pastor Lavina Tyson officiating. Burial will follow at the Huntsville Cemetery. Pallbearers will be Charles Willis, Kendall Willis, Coby Willis, Larry Riley, Danny Riley and Weston Theriault. Honorary Pallbearers will be Kristy Willis, Sandy Willis and Caden Theriault. Funeral services are under the direction of Madison County Funeral Service of Huntsville. Please visit our website www.madisoncountyfuneralservice.com to leave the family an online condolence.